Well, how do I describe the world of Linux? Hmm… How about being completely CRAZY? INSANE? POWERFUL? BEAUTIFUL? Indeed! The world of Linux – it’s definitely a crazy one. You’ll find numerous features and benefits on each and every single Linux distros out in the wild. Each of them comes up with their unique features, looks and most of all, unique usage scenarios. Thus, the target audience for each Linux distro differs from one to another. 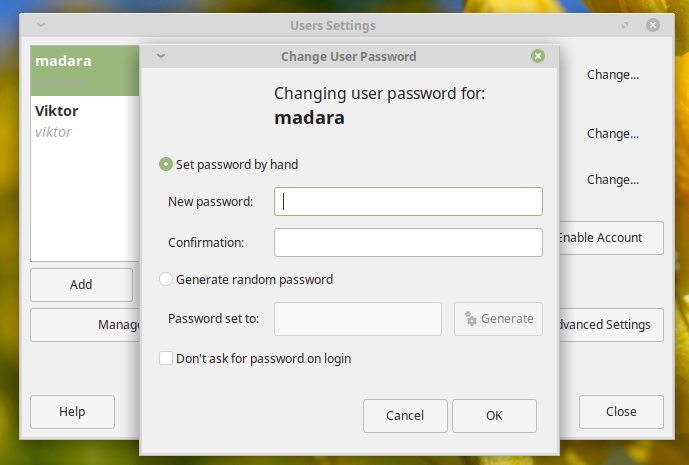 You’ll find out some Linux distros offering the easiest way of using your computer with the beautiful, engaging interface. However, some distros can easily haul even the bravest Linux users! For the general users, the simple and elegant Linux distros are more than enough. In some situations, it’s more suitable. Simpler Linux distros come up with a HUGE community behind it and you’re bound to get help if anything goes haywire. Personally, Linux Mint is the preference as it offers a very simple, yet wonderful and nice-looking environment for any Linux users. Linux Mint is based on the popular Linux distro – Ubuntu. That leaves a very little room for worrying about software availability. Surprisingly, Linux Mint even surpasses the popularity of Ubuntu! Let’s check out the popularity page of DistroWatch. 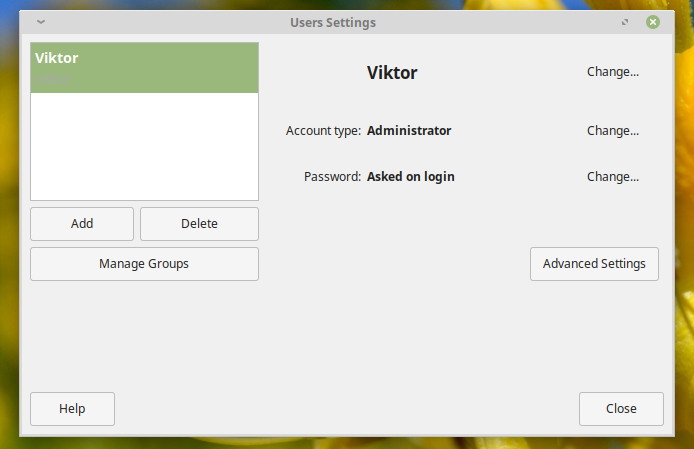 Now, if you’re going to use Linux, it’s quite necessary to have knowledge on managing the user accounts on the system. In the case of Linux Mint, it’s so simple that even a kid can pick it up! 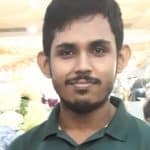 If your Linux system is powering the home computer, then it makes even more sense to become a powerful admin with the other user accounts. You definitely don’t want to allow your kids/guests to have access to your important section, right? I learned the importance of separate user accounts the HARD way. It’s my aunt’s birthday party. A lot of guests came to my home and of course, there was a flock of kids. Some of them started messing with my computer and somehow, successfully deleted the homework I prepared since the last week! Damn, that was infuriating! Well, why not blame me for the situation? Kids are always going to mess around, guests will always be coming to your home and everyone is going to use the home computer. That’s when I decided to separate all the user accounts. Let me share you the steps I followed on adding all the user accounts. Note: Before jumping, let’s not get scared as I’m about to show usage example of using the command line. It’s actually really easy to use! You only need the courage to have patience, focus and typing the correct commands. This will enter the current session into the “root” mode. As you can see, you’ll be asked for a LOT of information about the specific user account. You can decide whether you want to enter them or not. If you wish to skip (except the password part, that’s unavoidable), then keep on hitting “Enter” key. 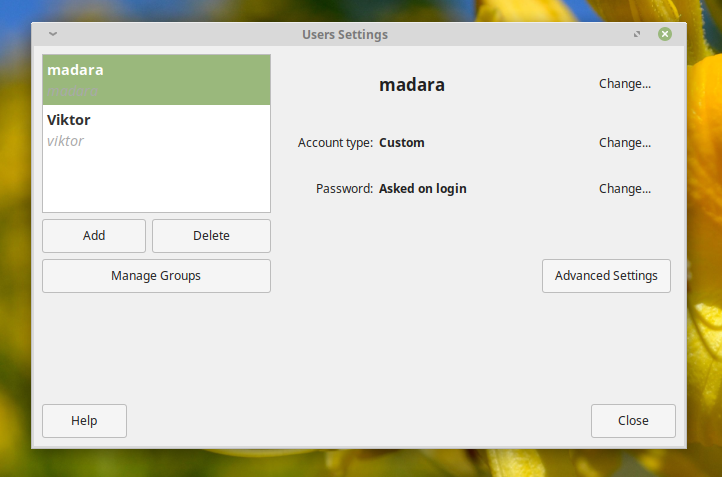 It’s also possible to manage user accounts via the GUI tool. 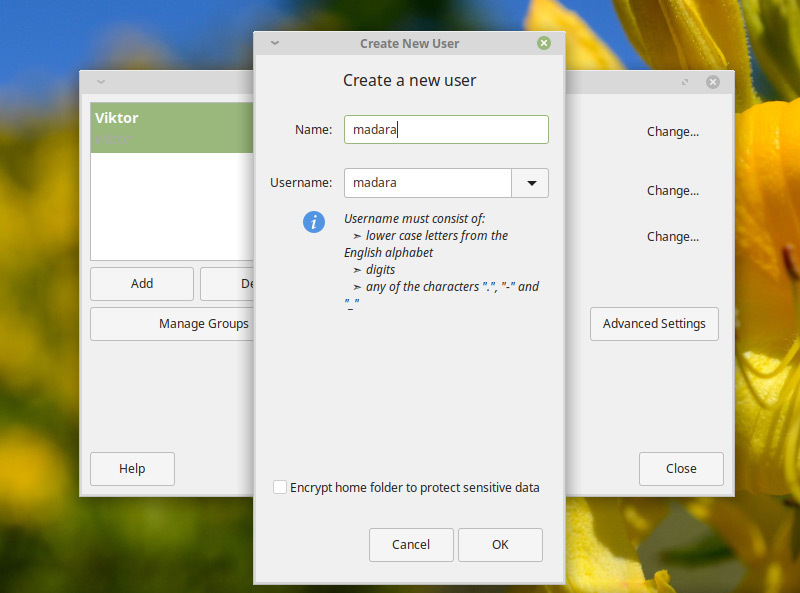 Linux Mint is quite user-friendly, after all. Go to menu >> search for “Users and Groups”. Now, add a suitable password. Remember – on Linux, there MUST not be any user account without a password (unless you’re sure that it’s safe and it’s NECESSARY). Voila! Adding the user is complete!